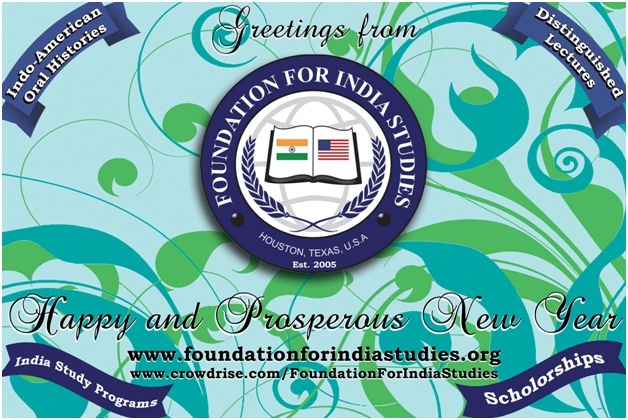 The Foundation for India Studies (FIS) was registered in Texas, in 2005 as a non-profit 501(c3) organization with a vision to promote knowledge about India’s contribution to the world in the field of languages, literature, arts,sciences, engineering,politics,economics and spirituality. The Foundation’s first successful project was the India Studies program at the University of Houston instituted in 2006 during the administration of Dr. Jay Gogue,President of the university. The program which initially began with Hindi language courses and classes in Hinduism and Jainism has been expanded to 12 courses and is now funded by the university itself. Students taking these courses will be awarded a Minor Certificate in India Studies. Further details of the program can be had from the University of Houston’s website for India Studies. Having successfully initiated the India Studies program at the university, FIS has now embarked on a history project called the “Indo-American Oral History Project” which will record the life stories of first generation Indian immigrants to Houston. The project is being done in partnership with Houston Public Library (HPL) and Houston Community College (HCC) and the recordings will be stored for posterity in HPL’s digital archives. FIS also strives to bring Indian universities and the American universities come together for exchange of students and faculty by facilitating MOUs between the universities. An example of such an endeavour was the successful MOU signed between the Central University of Hyderabad and the University of Houston. In order to connect India with main stream America through Mahatma Gandhi’s philosophy of Non-violence and Peace which Martin Lurher King Jr. had adopted in his civil rights movement, FIS routinely participates in the Annual MLK Grande Parade which attracts a million viewers on TV. Please visit “OUR PROJECTS” Tab for a full description of our projects..